The Motiv Villain Scorn feels like a proper compliment to the amazing Villain. 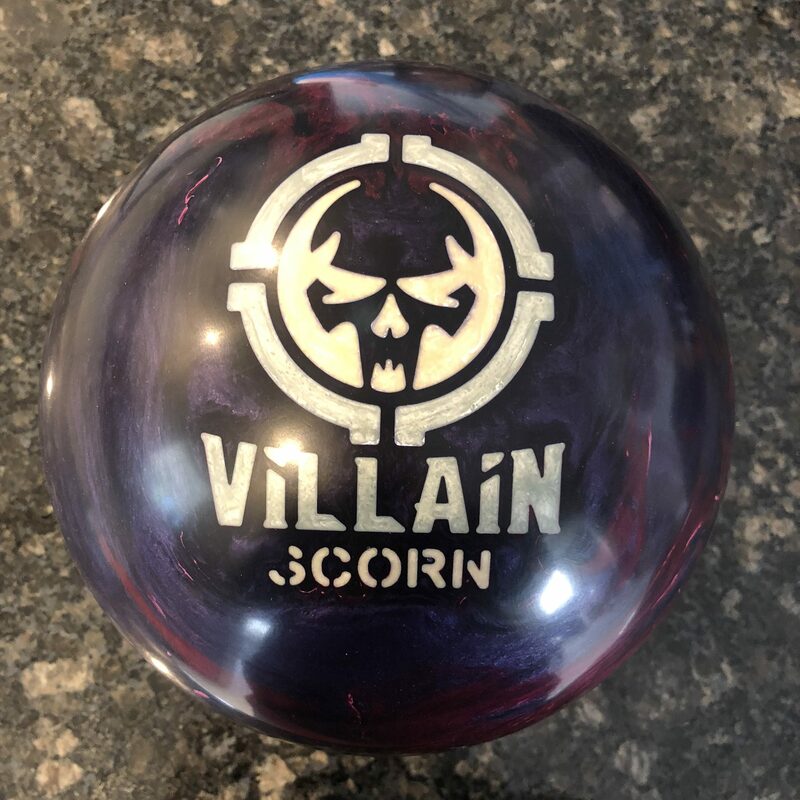 The Motiv Villain Scorn is in the mid-high price range but it looks to be a more versatile piece. Pearl asyms are an interesting breed in general and when done right are some of the most versatile balls out there. The Villain Scorn uses the Sinister asymmetrical inside the Hexion SE Reactive Pearl coverstock. The Scorn wraps a pearl coverstock around the what I consider one of the best cores around, the Sinister asymmetrical. In theory, you expect a touch more length and a more aggressive turn off the dry. Basically, the Scorn delivered. 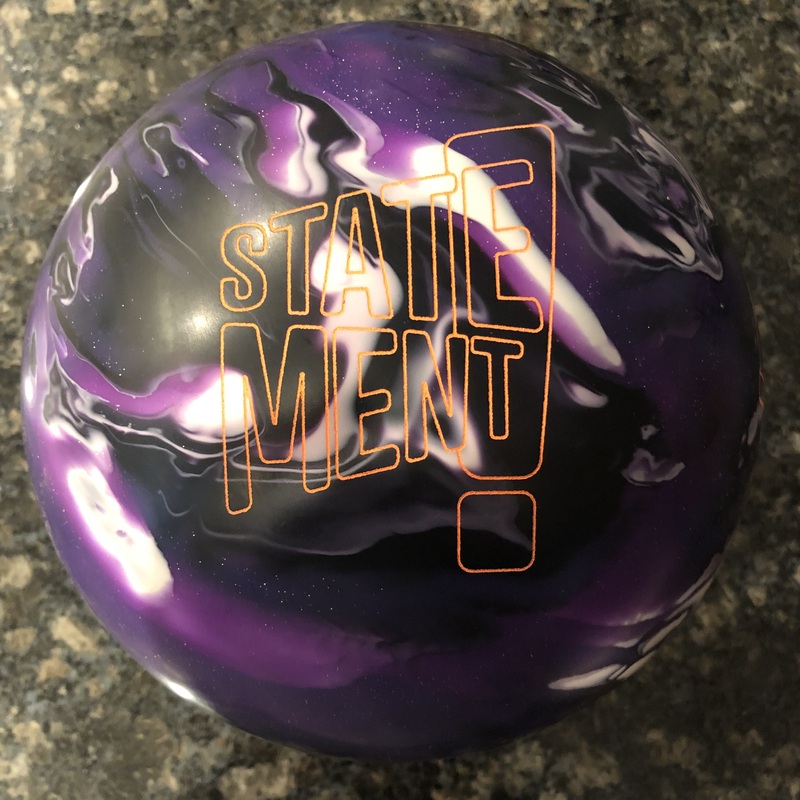 Motiv does unique ball reaction and in this case, it actually makes the ball even better on tougher patterns. What do I mean? So out of the box, the cover doesn’t look like the typical OOB shine you see from other brands. It has more of a dull sheen. That works to make it much less over/under out of box. And while it is very capable of big backend, it does it differently than other brands as well. It’s a little slower to transition but then just does the business. I want to introduce Cody Shoemaker our high rev tester for the Villain Scorn. He’s the 2016 PBA East Region Rookie of the Year and Motiv Staffer. Like me, he loves his Villains…yes plural. The Scorn fills right in exactly what he was looking for in this type of ball. When the Villain starts to quit as the lanes break down, the Scorn fits right in, adding just enough length with angle to be able to stay with a high volume big asym. You can see without any help, he gets in and wheels it. He’s got the rotation and rev rate to do it but the ball shapes nicely all on its own. 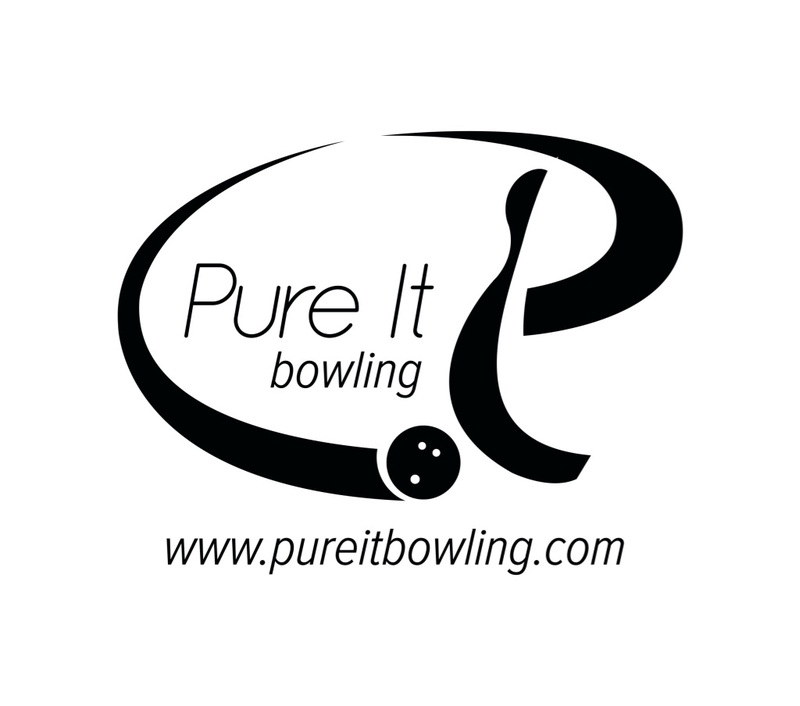 This is a fresh shot and with its medium volume, this ball can easily be used. When comparing to his Villain, you see the aggressive read that is a touch earlier. From the same spot, it reads a bit earlier but is smoother and just a touch less angular so still carries the high shot. I’m next and hear you see I’m a step down in rev rate but similar axis rotation. For me, this is the shape I wanted to see as well. The ability to take advantage of a great rolling core to benefit from the hitting power. The thing you can see from the first ball is the way the ball drives. This is the Sinister core. The Villain is my #1 go to ball on fresh house shot. Why? Because I use speed and less rotation to generate energy through the pins. The Scorn is a touch…just a touch too clean to do that. After a game or so, that shot starts to go away as the mids start to burn up. That’s when I can really see the Scorn come into play for me. You can see when I get in to my “average” track shot on fresh, you see the ball feel a little slower or long. However, it still scatters the pins nicely. When I saw this motion, I instantly knew it would be a hit on sport shots. More on that later but suffice it to say, this looks like a great option to stay with the shape and hitting power of the Villain as the lanes breakdown. One shot with the Villain shows that clearly, the fresh shot is perfect for that ball and if I want to use the Scorn, it’s 5 boards more direct with my feet. Great 1-2. Finally Bryan. Bryan has lower revs and higher tilt but like us, he saw great motion from his Scorn. And like us, he also loves his OG Villain. Pearl asyms are not always Bryan’s best friend but the uniqueness of this piece made it a great match up. He got good length but still saw the strong midlane to backend motion. It didn’t feel like it was quitting as he sometimes sees with asyms. With the higher RG, this matches up very well. Compared to the Villain, you can see it start a bit earlier and again a bit smoother. We tested on the 40ft PBA Don Johnson pattern. For Cody you can see he can get into the same zone and again, wheel from 22 out to 7 with the ball trucking back. 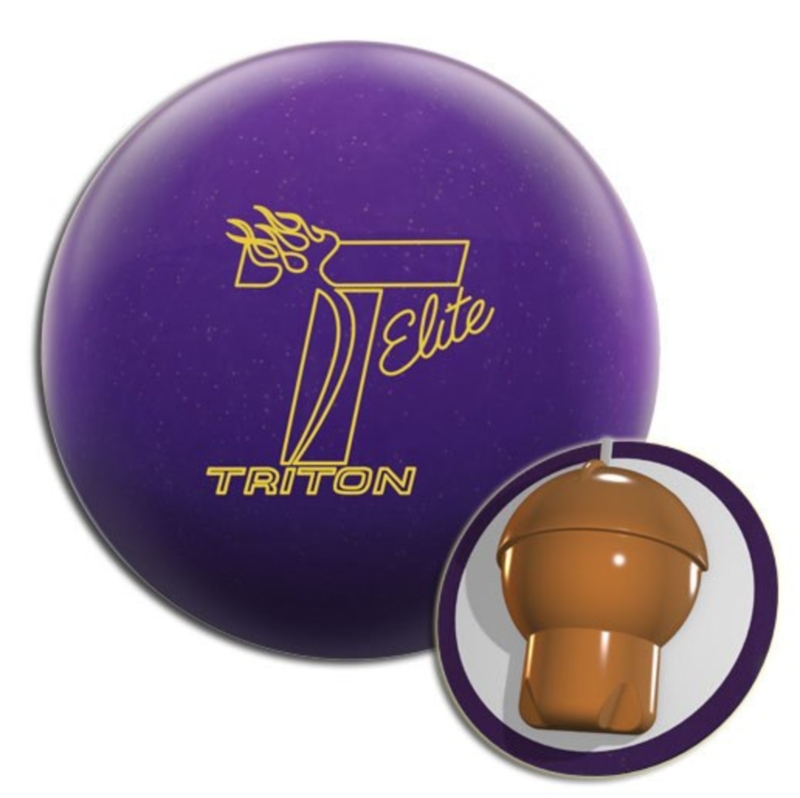 The ball generates tons of angle and on small misses, the ball just over-hooks. The ball is massively capable but for Cody, he doesn’t need this much angle on this pattern as it gives you plenty. For me, this is a great match up. This is fresh so you see a bit of a longish reaction but again, great pin scatter. It also blends better than your typical pearl without having to put lots of surface. Not on the video, I tested the ball after 2 games from the left side and the ball really looked fantastic. Now it’s broken down just enough where I can get into the 4th arrow and also wheel it like Cody with great downlane motion. For Bryan, again he didn’t have to throw many shots to see that the Villain looked good. Same shape, no surprises. In the end, Motiv has really found a nice compliment to the OG. 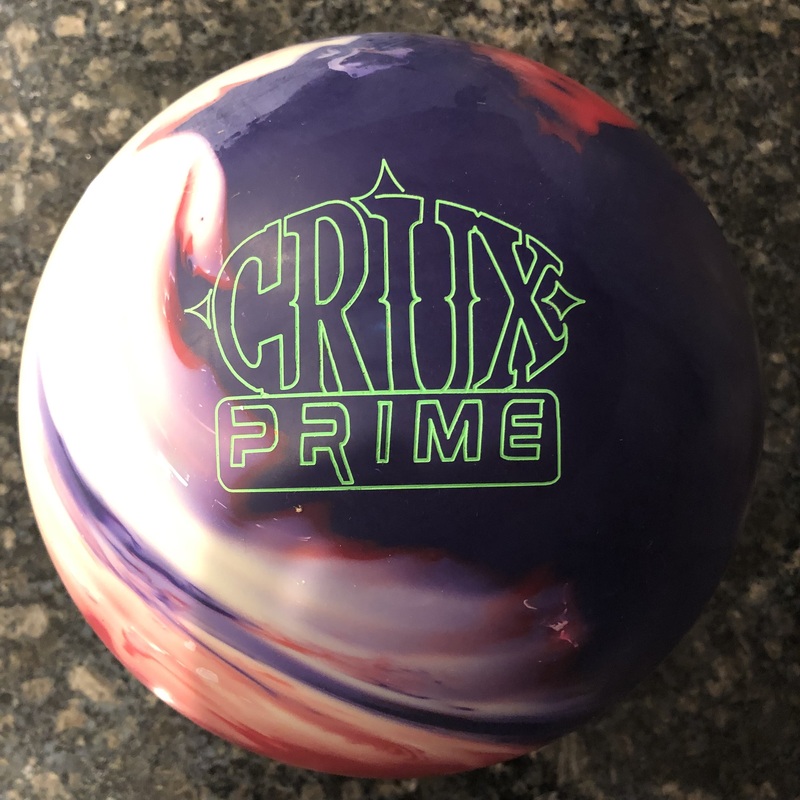 The Villain really is a fantastic ball and now you can get that same motion when the lanes are a little drier or breaking down using the Villain Scorn. You don’t always know for sure what you will get when changing covers on a core. But Motiv looks like they really did their research to come up with a little gem with the Scorn. For me, especially stand out is that they blended good backend with good control. There are a handful of balls that can do that. 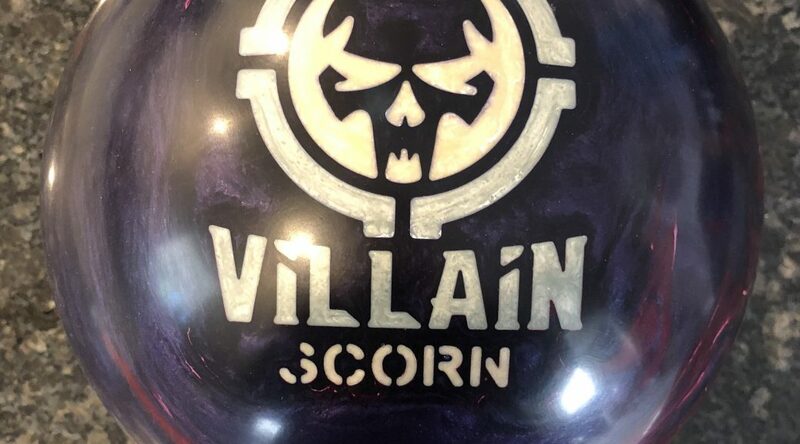 The Villain Scorn is in good company.